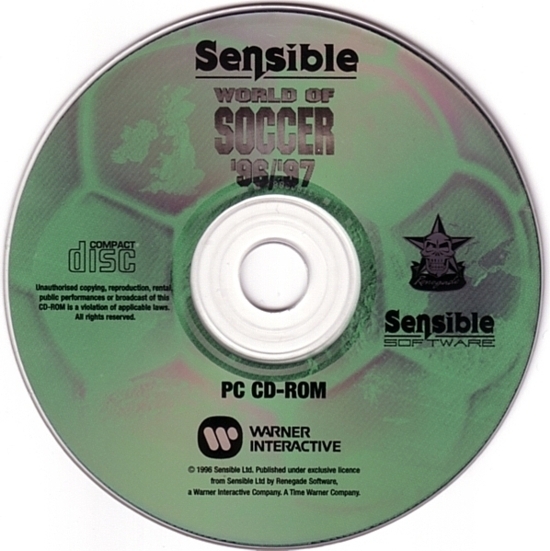 Undoubtedly the best game in the venerable Sensible Soccer series, Sensible World of Soccer 96/97 is the last annual update by Sensible Software before the series succumbed to the 3D graphics fad with Sensible Soccer '98, a dismal end to the famous series that was rushed out the door long before it was 100% complete. SWOS 96/97 basically upgrades the earlier version, SWOS 95/96 Euro '96 Edition, with 1997 teams from around the world. Innovations from the previous version (SWOS 95/96, a.k.a. "Version 1" -- also on this site) includes bendy passes, looping headers, more international teams, and even bells & whistles such as crowd animation and funny intro, cutscenes, and victory movies. The hallmark of the series has been spotless playability and the sheer adrenaline rush of controlling tiny players from a top-down view, and SWOS 96/97 takes the fun to new heights with smoother animations and even more coaching options such as trial players and international management, one of the best new features. International management essentially means that after at least 3 consecutive successful seasons as a club's manager, you can be offered a chance to manage your national team in international tournaments, such as the World Cup or European Championship. You can actually manage any other nation if you don't select a nationality at the start. This feature is a lot of fun, and greatly extends the game's longevity. The career mode also sees some tweaks that make the game longer and more realistic. There are also numerous little additions that make the game a lot more user-friendly, such as flashing the name of a player who has control of the ball on screen, so you can tell the little players apart. If you love soccer, this is THE soccer game to own. It may not have the realistic ball handling of Dino Dini's Goal! or complex simulation options of Championship Manager, but for sheer playability and joy of on-the-pitch action, SWOS 96/97 is the only game in town. Our Hall of Belated Fame entrant, without a doubt. windows 7 ve vistada bu oyunu çalıştırıp, oyun kurulumunu anlatarak bir ilki gerçekleştirdiği için için invertor arkadaşımıza teşekkür ederiz. 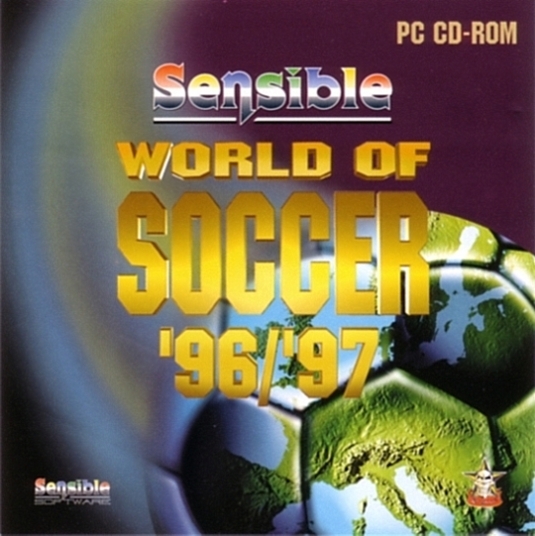 Sensible World of Soccer 96/97 Kurulumu Resimli ve Windows xp, Vista , Windows 7Videolu Anlatıma aşağıdaki linkten ulaşabilirsiniz. bence hiç uğraşma daemon tools programını http://www.yenidownload.com/program.asp?id=5043 linkinden indir we yükLe. Bu program sanaL bir sürücü yaratıyor. Bu programLa sensibLe dosyasını aç we yükLe.. işte bu kadar koLay. İndirdikten sonra rar dan çıkan iso dosyasını cd ye yazdırıp kullana bilirsiniz. Bu Sayfa 6.586 Saniyede Yüklendi.